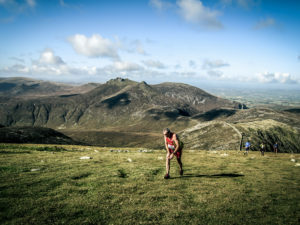 This year’s race will be organized by BARF and will be in a clockwise direction taking in the seven highest summits in the Mourne’s in the following order: Donard – Commedagh – Lamagan – Binnian – Meelbeg – Meelmore and Bernagh. Additionally the following marshalled positions must be included; Donard/Commedagh col, Lamagan/Binnian col, Ben Crom dam, Meel Beg/Meel More col and the Hares Gap. Each runner will be issued with numbered plastic tabs which must be handed in at the marshalled positions. Additionally a dibber will be used to record times at the summits. A new event centre will be used this year and it is Shimna College (grid ref; 374 302) which is on the Kings Road, off the coastal road, south of Newcastle. There is parking but we advise car sharing if possible. There will be hot showers and food following the race. Pre-entry for the race is £10.00(£11.00 if not a member of a registered running club) and £15.00 (£16.00 if not registered) on the day. All runners must carry a minimum of whistle, compass, map of the course, emergency rations, Waterproofed taped jacket with hood plus over trousers. Gloves, hat and a space blanket which weighs next to nothing and could be a life saver are also recommended. Please be aware that for long sections of the course there is no water so plan accordingly. There will be a kit check before the race starts and at the finish if necessary. Important Note. This is a hill race for mountain runners and cut off times will reflect this. Do not enter this event if you are a walker thinking that it will be a substitute for the cancelled Mourne Seven Sevens challenge walk. 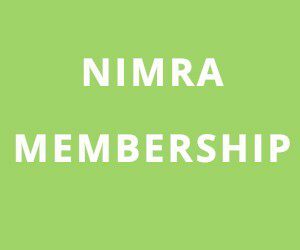 If you have any questions about any of the above please direct them to Jim Brown and BARF, not the ‘overworked’ NIMRA admins.